In any bridal registry, you can find items you and your future spouse will need to start a new life together. But if you’re a bride who can’t seem to find thrill in the thought of ripping open a box of those dinner plates or hand towels you scanned, don’t worry – there’s something for you too! HoneymoonWishes.com offers the unique opportunity for your friends and family to give you the gift of a spectacular experience. 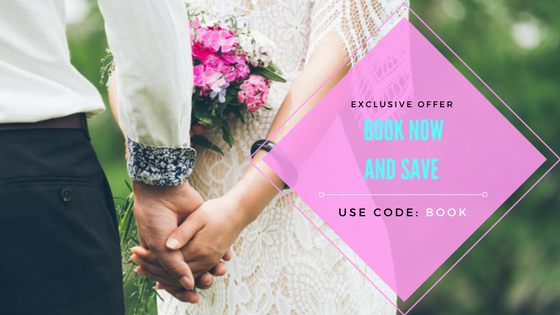 Have your guests add amazing aspects to your honeymoon like romantic dinners, outings, excursions and massages that you will remember for a lifetime. When you register for a honeymoon you can upgrade to that romantic suite, toast with the finest champagne, and take that snorkeling trip you always wanted to! The site not only allows you to check off the extras you’re interested in, but it connects you directly with amazing travel destinations, cruises and resorts around the world, staying specific to the area you’ll be in, and giving you planning tips catered to exactly what you’re looking for! Once you go to HoneymoonWishes.com, just choose your destination with a list of wishes and send your guests a link to your registry. Soon they’ll be just clicks away from contributing to the most memorable trip of your life!